Now the custom game upload to workshop, if the custom game with no public, we can't create the game and test it. I can't contact Valve, I hope I can choose to close the dedicated server, Hope you guys can help me send suggestions to Valve. I already let them know twice but I haven't heard back about it. 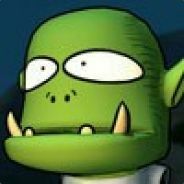 I suspect the structure they have in place regarding how dedicated servers download the map files from the workshop makes this issue extremely hard to fix.